In 2004 Luca Somigli and Mario Moroni’s edited volume Italian Modernism: Italian Culture between Decadentism and Avant-Garde was published, drawing attention to the fact that the category “modernism” had been underexplored in the Italian context. How has the critical understanding of Italian modernism changed in the last ten years? What do we mean when we say “Italian modernism”? What elements of Italian modernism remain overlooked? What does using the term reveal about twentieth-century Italian literature, architecture, film, and art? 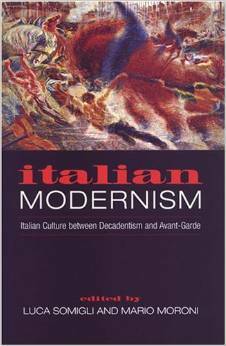 This session invites paper proposals on any aspect of Italian modernism. Please send an abstract of 150-300 words (in English or Italian) and a brief bio to Saskia Ziolkowski (sez6@duke.edu) by December 31st. This entry was posted in Call for Papers and tagged italian architecture, italian cinema, italian culture, italian film, Italian literature, modernism by SEZ. Bookmark the permalink.